When we’re spending our summer days hiking, climbing and biking, we want nothing more then to come home and quickly whip up a fresh, light and delicious meal. Summer is the time to find fun new food ideas, and eat wraps, salads and ceviche. Only the freshest, healthiest, most delicious meal you’ve ever eaten. It’s a seafood dish (typically white fish, shrimp or octopus) that originated around the coastal regions in South and Central America. It’s essentially raw fish, cooked in lime juice and is jam packed full of protein, flavours and has very little fat. 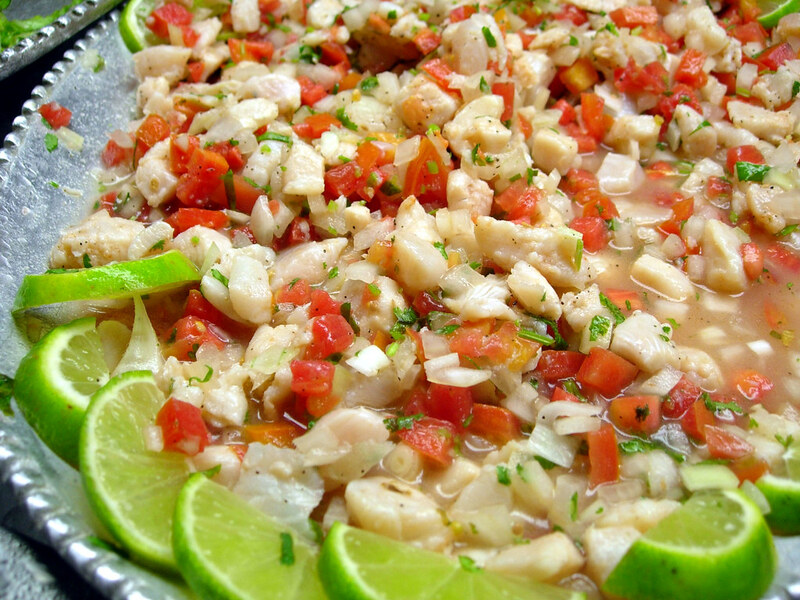 There are a thousand different recipes for ceviche (pronounced SAH – VEE – CHAY), as each country, region and town often have their own variations. Personally, I’m a peruvian ceviche fan (which may be biased as I called Peru my home for over a year), because they serve it with sweet potato, yuka, toasted corn and the amazing huancaina sauce. Since a number of the peruvian ingredients are difficult to source, and often not grown locally, I’ve found a modified recipe we can make from ingredients found at the local Squamish farmers market. This recipe creates the ceviche filling, and while this can be eaten alone, many countries serve it with tortillas, salads or other sides. Slice red onion and salt generously, and let stand 15 minutes until it begins to release its liquid. ( this will remove some bitterness). Rinse well. Place fish, garlic, onion, salt, pepper, chili, and lime juice in a shallow bowl, gently mix, and marinate in the refrigerator for at least 20 minutes before serving. Before serving, add cilantro, cucumber and tomato and a drizzle of olive oil, gently mix. Taste for salt. If adding avocado, gently fold it in last, making sure to use one that is not too soft. I found this authentic ceviche recipe on FeastingAtHome.com which has a huge number of fresh, healthy and organic recipes. Check them out and you’re guaranteed to find a few recipes to try at home this summer.